Save… – …STILL CRAZY AFTER ALL THESE YEARS! …to the extreme right of this same block beside the grocery store at the very end. 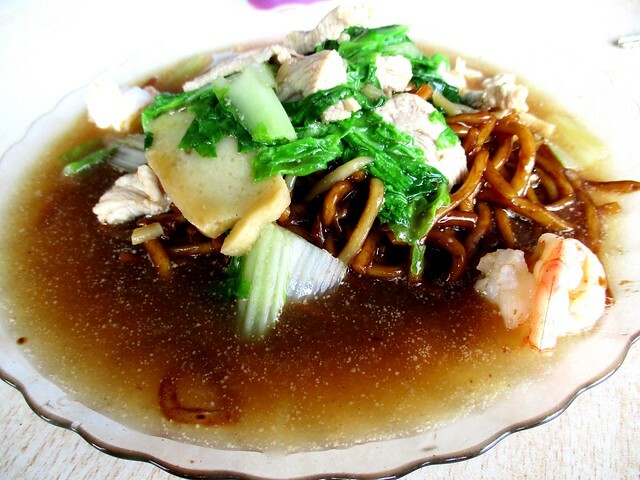 The kampua mee is very nice, more like the old school, original/authentic ones that we grew up eating and loving so much in our growing up years. I asked my brother why he would not go there instead and he said that he heard someone say that the shop was very dirty. It used to be run by an old couple, an old man and an old lady and they sure were no Marie Kondo – there were boxes and crates and bags of stuff strewn everywhere all over the shop but I do not see them there now. The shop is now run by a young man and a lady, probably the son and the daughter of the old couple as I could see the resemblance to the mother, and another lady, maybe the daughter-in-law. …but of course, the mosaic-tiled floor has seen better days and a fresh coat of paint on the walls would certainly help spruce things up. However, I did not think it was dirty in any way, not at all…and I guess the many customers that I see eating and drinking here every day do not feel it is so either. 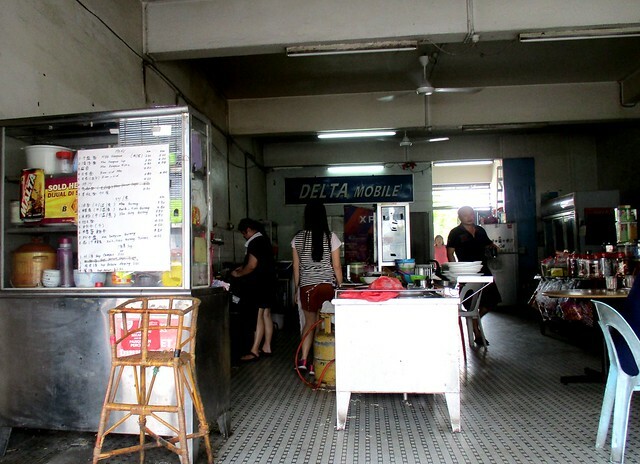 …and it was very good, cheaper than most places by 30 sen and I would say it could rank among the best in town. …and noticed that it would cost only RM3.80, 20 sen cheaper than most places elsewhere and a lot cheaper than some. …it would look pretty much the same, anyway. For one thing, I was very impressed by the amount of ingredients – elsewhere, one would hardly be able to see the bits of meat and vegetables with the naked eye. I am not all that fond of the vegetable though, the khiew chai (curly vegetable), great in soup – usually, they will use sawi and when it comes to fried noodles, I like that more. It may not seem like a lot but for what I paid for the mee and the coffee, I did manage to save 50 sen and if my missus had been with me, that would be a ringgit already. As they say in Malay, sikit sikit jadi bukit (a bit at a time, a mountain in the end) but most importantly, the mee and the drink were great. I hear the Sarawak laksa is good too – perhaps I will try that next time. 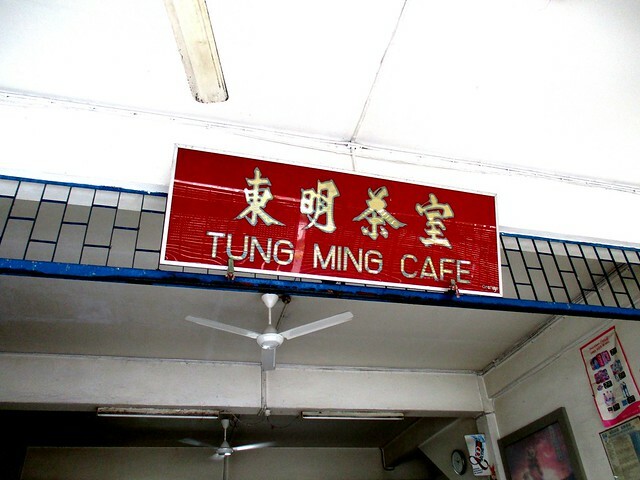 TUNG MING CAFE (2.307601, 111.824983) is located along Lorong Delta 10, the second shop in the first block of shops on your right, after the first one – a grocery store, as you turn into the lane from Jalan Delta in the vicinity of the houses behind the Delta Public Swimming Pool. 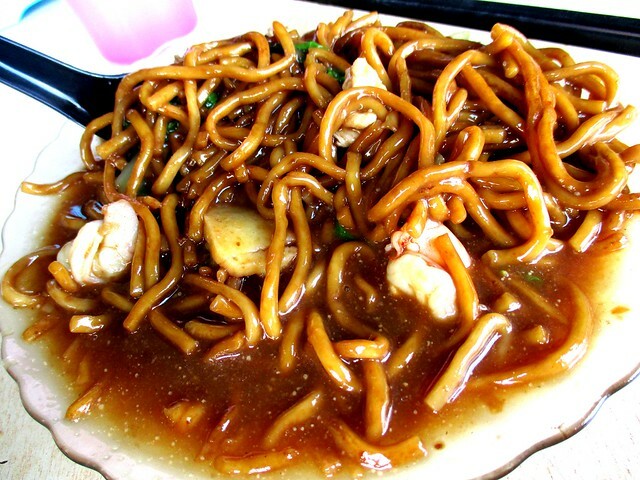 You ordered the mee kampua goreng, right? In the end, did your brother eat at this shop after you told him that it is not dirty? No, he didn’t – he said the other one was nice enough for him so he just stuck to that one. That was mee goreng, using our version of the yellow noodles – no chemical added, no alkaline smell. For that price and with the amount of ingredients in the fried noodles, I would say it is a good deal. No way I can get that price over here. You are the opposite of me. I prefer khiew chai to sawi. Sawi is the standard vegetable to be added to Foochow fried noodles, I think it’s the same with Kuching kolo mee. I like khiew chai in soup, more than sawi actually, but it is not meant for frying – will shrink till there is not much left and the taste and texture just aren’t quite the same. 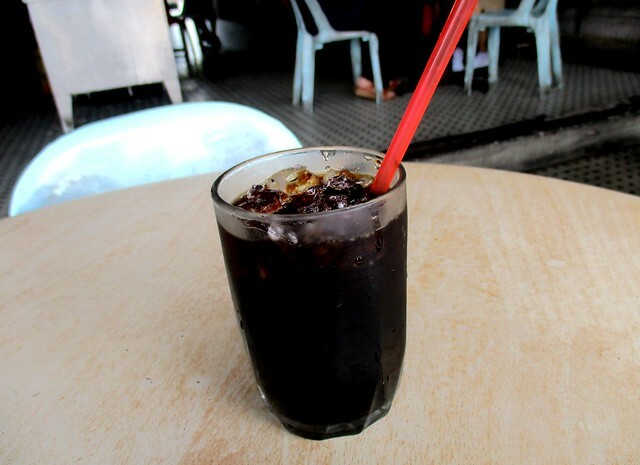 i need a kampua fix too after reading so much about kampuas here. 😛 .. where to get a good bowl of kampua noodles in kl? Go google! Lots of places in KL now and the kawasan-kawasan yang sewaktu dengannya where you can get kampua mee. I think SRK Noodle House just opened an outlet at Paradigm Mall…or you can go and buy the celebrated The Kitchen Sibu instant kampua at TTDI, very nice, just like the real thing! You have to cook it yourself though…and add your own meat. It is nice to have the convenience of cafes within walking distance. Indeed, saves petrol, good exercise and good for the environment. Not a fan of the Chinese dry version, too dry and plain. 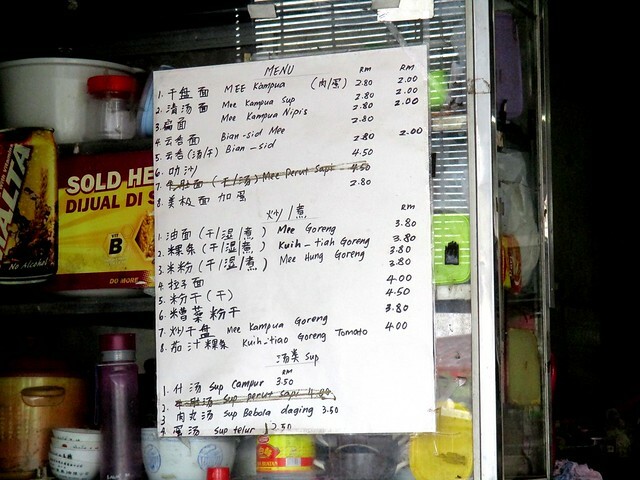 I like the Malay dry mee goreng though…or their mee mamak, very nice.